On March 20, a Dutch court ruled that Bitcoin was a legitimate store of 'transferable value', which means that The Netherlands is the newest country to label the cryptocurrency as property or a security rather than as a currency. 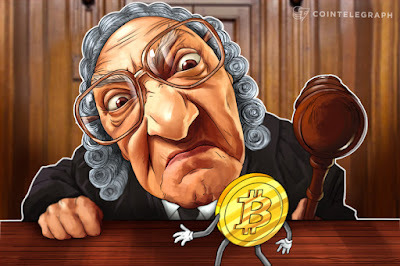 Holding off from extending their ruling that the cryptocurrency was a legally accepted medium of exchange, the courts did open the door however for Bitcoin to be accepted as a legal monetary instrument. The claim was filed in a Dutch court by Mr. J.W. de Vries on 2 February 2018 against Koinz Trading BV, a non-public company, which was previously ordered by a lower court of Midden-Nederland to pay mining proceeds in the amount of 0.591 BTC owed to the petitioner, or a penalty payment up to a €10,000 maximum. As a consequence of the company’s failure to comply with its obligations to pay the required volume in BTC, the court ordered that the company either pay up or be declared insolvent. “Bitcoin exists, according to the court, from a unique, digitally encrypted series of numbers and letters stored on the hard drive of the right-holder’s computer. Bitcoin is ‘delivered’ by sending bitcoins from one wallet to another wallet. Bitcoins are stand-alone value files, which are delivered directly to the payee by the payer in the event of a payment. It follows that a Bitcoin represents a value and is transferable.